Manchester United return from European action to host West Ham United at Old Trafford in the Premier League on Saturday evening. Ole Gunnar Solskjaer will be forced into at least two changes from Wednesday night following the suspensions of Luke Shaw and Ashley Young, but is expected to rotate his starting XI further with our trip to Camp Nou this Tuesday. The Spaniard wasn’t as busy as expected midweek and can be sure to keep his place in the starting XI for the visit of West Ham. Diogo Dalot has played a few games down the right wing lately but the Portuguese youngster can be expected to move into his natural full-back role in place of the suspended Ashley Young on Saturday. I can see Victor Lindelof being given a rest ahead of the second leg against Barcelona, allowing Phil Jones to start. Ole said in his pre-match press conference that Matteo Darmian may be fit to make the bench so that suggests Marcos Rojo will make a rare start at left-back this weekend. 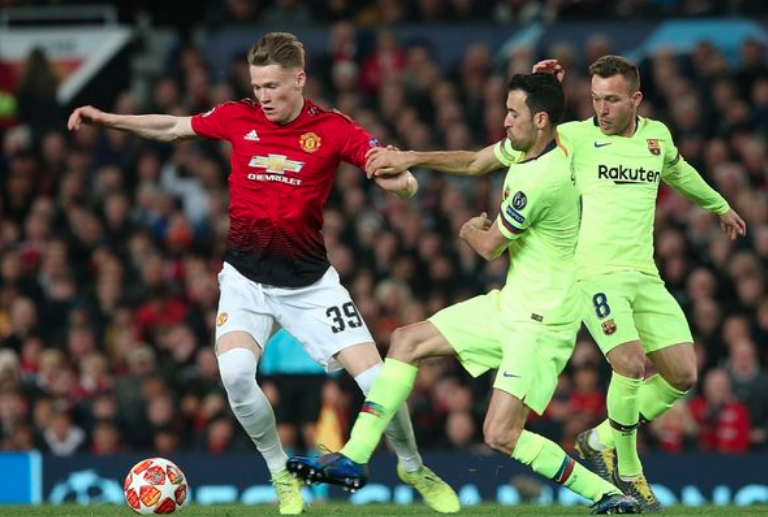 Nemanja Matic was ill midweek and may be rested ahead of Tuesday’s trip to Spain, giving another start to both Scott McTominay and Fred. 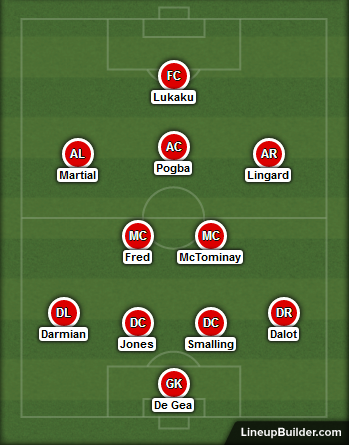 Jesse Lingard was a substitute midweek so should be in line for a start down the right wing, though Juan Mata is another option if the manager is confident we’ll dominate possession. Paul Pogba has the energy to start in the number 10 role again, though it’s not like he burned much of it midweek. Marcus Rashford has got to be saved for next week so Anthony Martial should start down the left. With Martial on the wing and Rashford rested then Romelu Lukaku will be the striker on Saturday.